With points that do not expire, you can redeem them straight away or save them up for future use. Receive Samsonite Sigma 76cm Expandable Spinner, when you spend S$4,500 within 3 months of Card approval. Apply today and receive a 1-night stay at Swissotel The Stamford Singapore upon payment of annual fees. 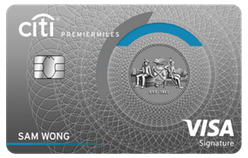 The American Express Platinum Card is one of the most popular cards in Singapore, with excellent, dining, travel and frequent flyer rewards. If you enjoy fine dining, then the American Express Platinum Card is perfect for your lifestyle, so satisfy the chef in you with fantastic savings and dining privileges with your American Express Platinum Credit Card. So if you’re looking for a location for your next business lunch, or a family get together, this huge saving could make a big difference to your monthly spending. Not forgetting the American Express Platinum Card come with some amazing golf perks. These include complimentary green fees* and access to about 40 clubs in Singapore, Thailand, Malaysia, Indonesia and Philippines. Have you been in the situation where you managed to build up a handsome amount of points, only to find that they have started to expire? This process feels like your running up sand, however, the American Express Platinum Card points do not expire*, so you can redeem them straightaway or save them up for future use. 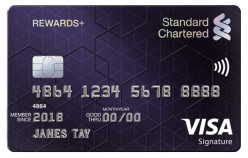 Don’t be fooled into thinking that the rewards points with the American Express Platinum card are worthless, in fact, new cardholders enjoy a permanent waiver of the miles transfer fee (worth S$40) with the American Express Platinum Credit Card. Thus you can redeem your points for Frequent Flyer Miles from Airline Partners like Asia Miles, British Airways Executive Club, Emirates Skywards, Singapore KrisFlyer and more. The American Express Selects® program offers a wide range of exclusive promotions and discounts for all American Express Cardholders. With an extensive list of offers from around the globe in travel, dining, shopping, and entertainment, you are well covered. Shopping Promotions & Offers – With over 77 shopping offers in Singapore alone, American Express cardholders can enjoy fantastic discounts at a huge range of shops. Including 1-for-1 Foot Reflexology at S$85.60 nett and 10% savings on regular-priced items at Mulberry. Dining Promotions & offers – With over 49 Dining Offers you can enjoy 10% savings on à la carte food items at Sixty40 and 15% savings on total bill at the Main Bar, Dining Room and Apothecary Bar at Oxwell & Co.
We all like a bit of tender, love and care (TLC) every once and a while, so why not indulge with the American Express Platinum Wellness promotion. With cardholders enjoying up to 40% off a la carte spa services at Adeva Spa, Spa Rael and The Ultimate. Plus an exclusive treatment package at Auriga Spa, which includes complimentary parking, access to the gym and spa facilities on the day of the spa treatment for S$220++. With discounts at over 15 hand-picked bars and clubs in Singapore, you get to enjoy the location and services without the hit to your wallet. or why not enjoy a complimentary welcome cocktail at Smoke & Mirrors with any purchase at Smoke & Mirrors when you pay with an eligible American Express Card. 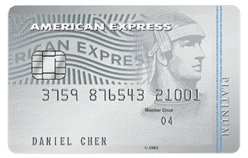 With effect from 1 May 2018, American Express will charge S$90 if the Minimum Payment specified in the statement of account is not received by the payment due date. The minimum payment amount due on a statement of account is 3% of the outstanding balance plus the total sum of any overdue minimum payment and late payment charges, and any amount exceeding your credit limit, or S$50, whichever is greater. a. Not an existing American Express Platinum Credit Card Member enrolled in other campaigns. b. Pay the Full Annual Fee of S$321 (inclusive of GST) upfront. c. Basic Card Account must be in good standing to be eligible for participation in this promotion. Card Members are not allowed to convert to First Year Fee Waiver. Any such conversions will not entitle Card Member from receiving the gifts as stated in this promotion. Card Members who cancelled their American Express Platinum Credit Cards within the last six (6) months are not eligible for this promotion. If the recipient of the gift ceases to be a Card Member for any reason within six (6) months of setting up the American Express Platinum Credit Card Account, he or she will be charged the cost of the 1 Night Stay at in a Premier Room at Swissôtel The Stamford Singapore (Room Only) at S$529.65 (correct at the time of production). 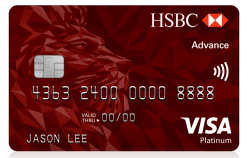 This promotion is applicable to Basic Card Members only and the Basic Card Account must be in good standing to be eligible for participation in this promotion. If Card Member redeems more than once or makes duplicate redemptions, the additional Night Stay at in a Premier Room at Swissôtel The Stamford Singapore valued at S$529.65 (correct at the time of production) will be charged to the Card Member’s statement. Card Members will receive a redemption letter approximately twelve (12) weeks after your American Express Platinum Credit Card has been approved. The gift must be redeemed within 3 months from the date of the redemption letter. All gifts not redeemed within this validity period will be forfeited, and no extension of time or redemption period will be granted. The original redemption letter must be presented for redemption and no replacement redemption letter will be issued, if the original letter is lost, damaged or expired. If the original gift is unavailable for any reason, American Express reserves the right to substitute the gift with an item of similar value at its discretion. American Express International Inc. Singapore reserves the right to withdraw or substitute the gift with other item (s) without prior notice and without assigning any reason. Card Member has to accumulate a cumulative spend of S$4,500 within the first three (3) months’ statements to receive the Samsonite Sigma 76cm Expandable Spinner. Spend excludes interest, cash withdrawal, balance transfer and Card-related fees charged by American Express. Spend made by Supplementary Card Member(s) will be taken into consideration in the calculation of the S$4,500 spend threshold. Card Members who cancelled their American Express Platinum Credit Cards within the last twelve (12) months are not eligible for this promotion when they re-apply for The American Express Platinum Credit Card during the Promotion Period. Each Basic Card Member is only eligible for the redemption of one Samsonite Sigma 76cm Expandable Spinner. If Card Member redeems more than once or makes duplicate redemptions, the additional luggage valued at $600 (correct at the time of production) will be charged to the Card member’s statement. Change of offer will not be permitted for this promotion. A letter will be sent to the Basic Card Member’s mailing address approximately twelve (12) weeks from the time the Basic Account reaches the required cumulative spend for the gift/s within the first 6 months’ statements. The original redemption letter must be presented for redemption and no replacement redemption letter will be issued, if an original letter is lost, damaged or expired. The redemption is subject to availability. American Express International Inc. Singapore reserves the right to withdraw or substitute the gift with another item (s) without prior notice and without assigning any reason. Still not sure which American Express credit card to get? Then why not compare all the best American Express credit cards here at EnjoyCompare. For Expatriates, you have earnings, a minimum income of over S$60,000 p.a. EnjoyCompare is an independent information provider. It is not a bank or financial services provider, and cannot give direct financial advice. The content of the comparison website provided by enjoycompare is provided “as is” for general information purposes only. It does not constitute advice nor does any part of the content constitute an open offer capable of forming the basis of a contract. It is up to the user to ensure information is accurate at the point of submitting an application on the suppliers website.